The application must be submitted in person and by appointment only. You can also apply for a Finnish identity card at the same time. If you apply for an identity card and a passport at the same time, a lower than normal fee will be charged for the ID card. For online appointments, detailed instructions and application forms CLICK HERE. the applicant needs to provide photocopies of the original documents brought to the appointment. the passport application form is filled out in advance but not signed until the appointment. the passport fee (check the fee in April as they may change monthly) needs to be paid with a money order, certified check or cashier's check made out to the ”Embassy of Finland Consular Fees Los Angeles”. In case you are applying for both passport and ID card, the fee is 225USD in March 2019. Passport and ID-card applications can be processed only when the personal information in the Population Information System is correct and up-to-date (e.g. name). The applicant shall ensure that the personal information is correct according to the Population Information Act (661/2009). The information may be checked from the Local Register Office once a year without any fees. In Finland passport applications can be submitted at the local police station. 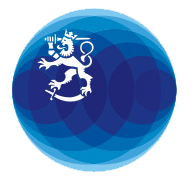 The Consulate General of Finland reserves the right to cancel or reschedule the trip at any time.